Halve the Bagel and Toast. 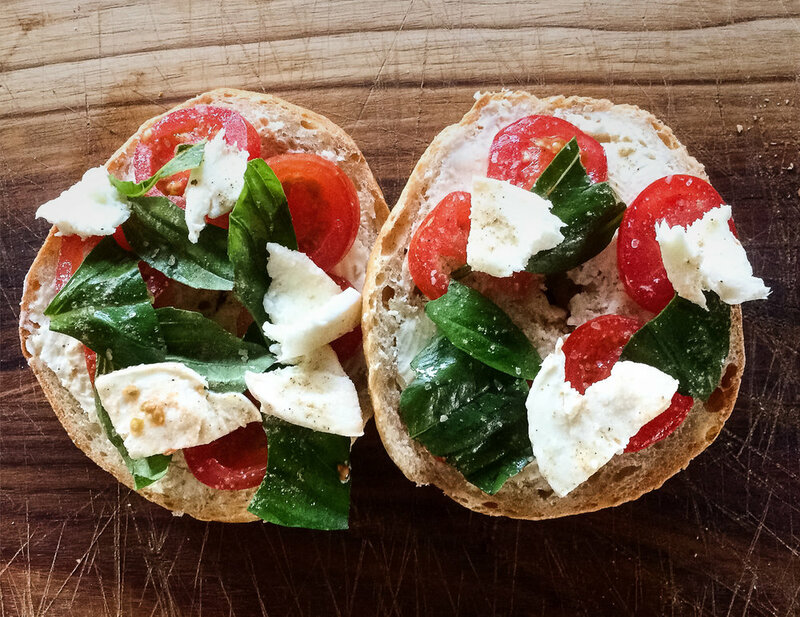 Add sliced tomatoes, basil leaves and chunks of mozzarella cheese. Drizzle olive oil and add Salt and pepper to taste.